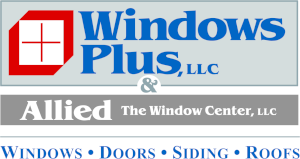 Windows Plus, LLC & Allied The Window Center, LLC (Windows Plus) provides windows, doors, siding, and roofs to homeowners in residential and condominium communities throughout the Metropolitan Area. Company owners, Reg Wayland and Tom Camarca, have over 30 years of field experience. Through their trained lens, they offer solutions to the inherent complications of window, door, siding and roof replacements for residents in single and multi-family dwellings. Windows Plus provides services that exceed the normal experience through unique approaches and longstanding relationships with customers and vendors. For your home improvements, please visit us on the website at: WindowsPlus@WindowsPls.com or call us at 703-256-0600.